Art Nouveau Vase by Georges de Feure. French Antique Glass Vase. 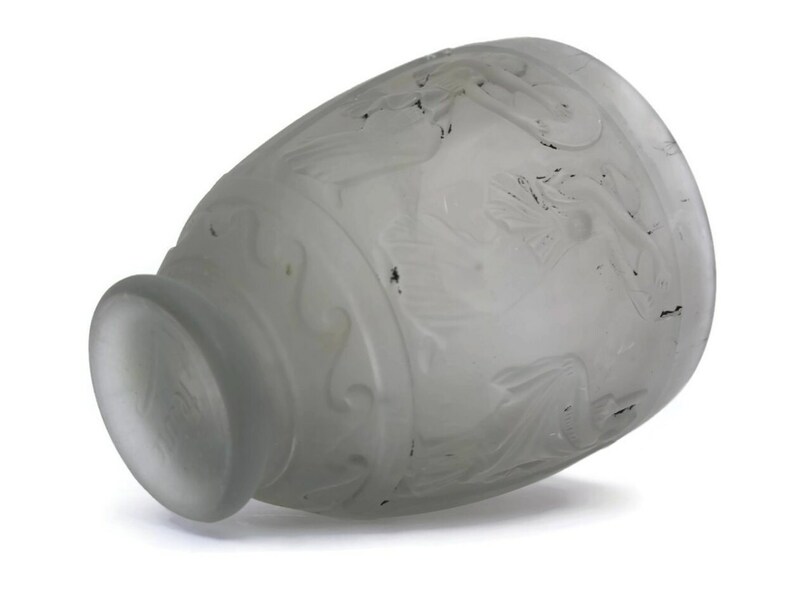 A rare antique vase created by the celebrated French artist Georges de Feure. 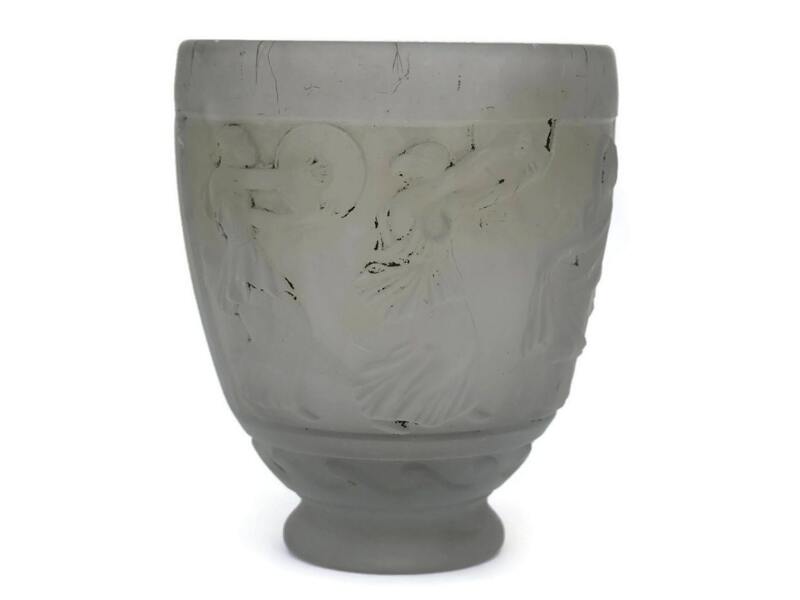 The conical vase has been molded from pale grey pate de verre and features classical Greek inspiration with relief figures of 6 women dancing or playing musical instruments. 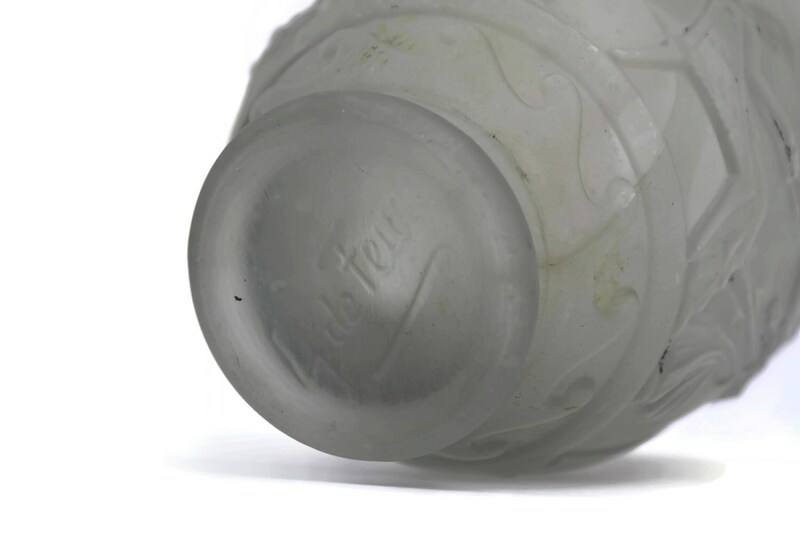 The base features the signature of de Feure. The vase was commissioned by the luxury Paris food store, Fauchon as prestigious packaging for their fine assortment of chocolates, biscuits and sweets. Georges de Feure designed the pieces which were then manufactured by the renowned glass and crystal makers, Daum from the city of Nancy. Georges de Feure (1868-1943) was a refined poet and painter and an important artist of the Art Nouveau movement. He was also a visionary as even though this vase dates to the 1910's it already exhibits strong Art Deco ideas. 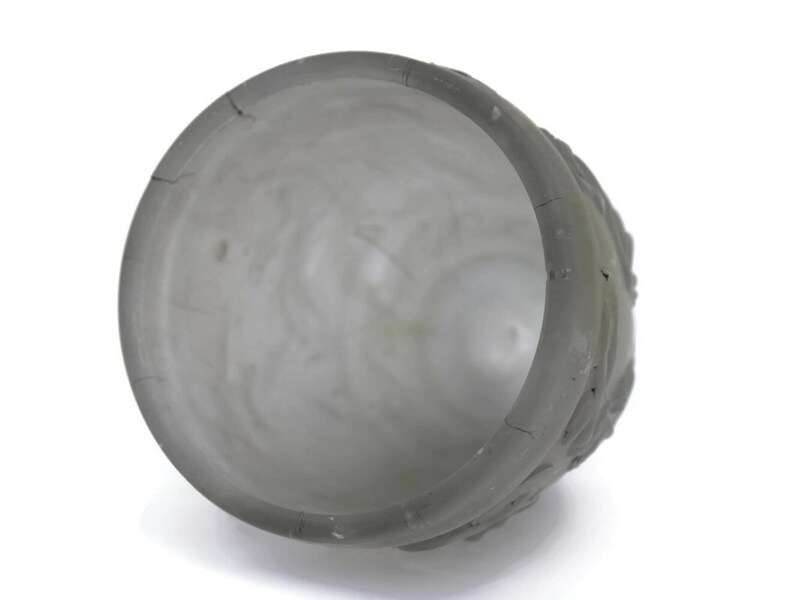 5 1/2" High x 4 1/4" in Diameter at the top x 2 1/2" Diameter at the base (14cm x 11,7cm x 6,2cm). 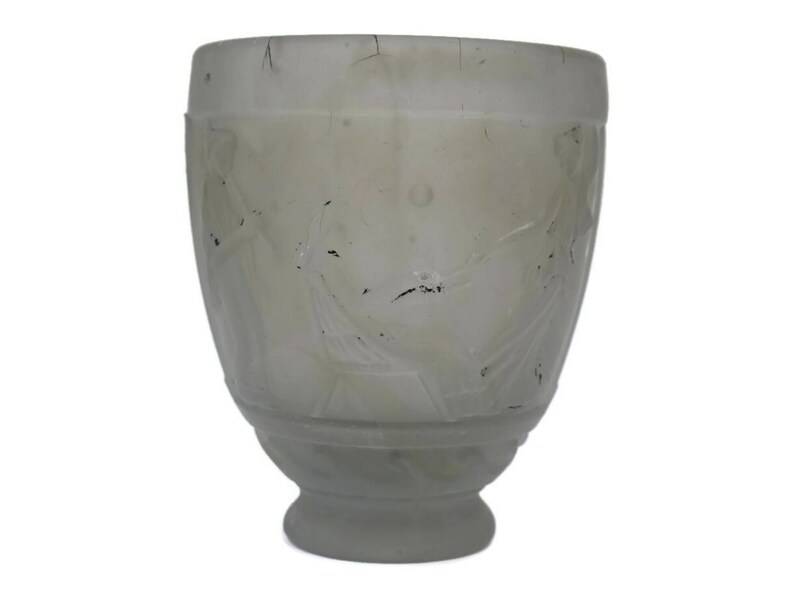 The antique vase is in good condition with some signs of age and use including mold imperfections and crackling which are to be expected from pate de verre.